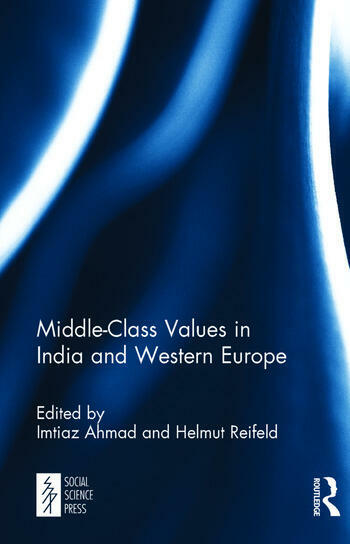 Middle-class Values in India and Western Europe discusses the distinctive attributes of the middle classes in France, Germany and India. The construction of new norms of respectability is a universal feature of the middles classes, though their rhetoric has varied in different societies. Drawing on historical experiences in both western Europe and colonial India, the contributors to this volume try to understand the common inheritance of these newly emerging middle classes and the social and political impact they have had on their societies of origin. Each study is based on detailed research and combines both theoretical and empirical material. The book is divide into three sections. The first section, ‘The Rise of the Middle Class in India and Western Europe’ has three chapters and they dwell on the middle class and secularization; the middle classes in twentieth-century India; and the values of the middle classes in Germany. The second section, ‘Class Formation in the Twentieth Century’ contains four essays which discuss the character of the Indian middle class; middle-class values and the creation of a civil society; the ‘Grand Ecoles’ in France; and the changing social structure of the German society and the transformation of the German bourgeois culture. The last section, ‘Values and Orientations’ consists of five papers on the Indian middle class and explore the cultural construction of gender in urban India; the Dalit middle class; the political orientation of the middle classes; the politics of the middle classes and their shifting class values. Helmut Reifeld is India representative at the Konrad Adenauer Foundation, New Delhi.